"Thank you, Dr. Tsai, for such a welcoming experience and taking such good care of us." "Dr. Tsai has saved my life. I wouldn't be where I am if he wasn't my doctor." "Dr. Tsai is a blessing. With just one try, we are happy to announce we are now pregnant." "We've had a successful first IVF round and are expecting a baby! Thank you Dr. Tsai!" "I put my faith in Dr. Tsai and now I am having normal periods and I'm fibroid free." "If I hadn't found Dr. Tsai, I might never have had an opportunity to conceive naturally." "Anyone that is seeking an excellent fertility doctor- look no more and go see Dr. Tsai." The New York Fertility Center team welcomes patients at our offices in Manhattan and Flushing, New York, where we work together to find the best solution for each patient's fertility challenges. The New York Fertility Center never looks at patients as files or statistics. Our team treats patients as individuals with unique circumstances who face the intensely emotional challenge of infertility. Our dedication to customizing treatments to meet your needs is backed by our wealth of experience working with patients from a wide variety of backgrounds. The facilities at The New York Fertility Center remain on the cutting edge of technology, so we offer the full range of fertility care. Our comprehensive services cover every option from in vitro fertilization (IVF) and intrauterine insemination to preimplantation genetic diagnosis. We even offer egg and sperm donor services to singles, couples, and members of the LGBTQ community. The New York Fertility Center is known for many “firsts” in Queens, including the first donor egg pregnancy and the first egg cryopreservation followed by a successful pregnancy. 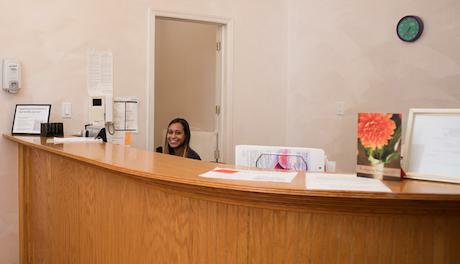 And as one of the first IVF centers established in Queens, we hold an outstanding reputation for success. The New York Fertility Center is easily accessible and provides appointment options to accommodate your schedule, whether you need to come in during the early morning, evenings, or weekends. We also offer insurance preauthorization services and have an outstandiing financial assistance program. When you need compassionate and competent fertility care, call one of our offices or book a consultation online. "If you want to start a family, [...]Dr. Tsai is the doctor to go to. He will make your dreams come to life. Thank you Dr. Tsai for everything." "Dr. Tsai does not rush patients' appointment and takes his time to explain everything[...]. He makes you feel comfortable and shows he cares about you and your options." "Dr. Tsai is awesome. He is extremely knowledgeable, humble, kind, and is fully vested in the best possible outcome for you and your family." "Dr. Tsai is an excellent doctor and we are so glad that he was the one to help us achieve our goal of adding to our family. His staff is amazing." "After 6 months of disappointments and failures I can proudly say that I’m finally pregnant and I feel blessed and grateful for all that Dr. Tsai did for us." "Dr. Tsai and his office are great. I have a beautiful daughter now because of an IVF cycle. My husband and I couldn't have been luckier." "Excellent doctor, very knowledgeable. [...] The day of my ovarian drilling surgery, Dr. Tsai's surgical staff was very supportive and kind. It's rare to see that now."